We’re conditioned to notice color. It’s one of the first things we notice on products or materials. The way we view those colors psychologically triggers how we feel and think. They even influence us to buy. Your color choice will project a message about your business. When designing a brand, it makes sense to use color to establish a perceived image based on the way that color is perceived. That’s good marketing. Think about some of the top brands. When you picture IBM, Wal-Mart or HP, do you see blue? When you think of a Target store, do you see the red bulls eye? With American Express, you automatically see green. When you think of McDonald’s, don’t you see those yellow arches with the red sign? Those colors were not chosen by accident. IBM represents business. American Express is all about money. McDonald’s wants to get your emotions stimulated and make you hungry. They know their target market. What emotions are you stirring with your brand? Are they the right emotions to reach your target audience? You don’t want to waste time and money by overlooking the message you are conveying with color. WHITE – White is associated with innocence, purity, peace and contentment. It’s considered clean and sterile. It’s cool and refreshing. White can have a calming, stabilizing influence. BLACK – Black is the ultimate power color. It suggests strength, potency, authority, boldness, seriousness, stability and elegance. It’s distinguished and classic, great for creating drama. Black has more weight than other colors. Too much can be ominous. GRAY or SILVER – Gray can be associated with conservative qualities and considered traditional. Business-wise, it symbolizes high tech and suggests authority, practicality, earnestness and creativity. GOLD – Gold suggests wealth. It’s considered to be very classy. BLUE – Blue is the favorite color of many businesses. It suggests sanctuary and fiscal responsibility. It inspires confidence. It is the most popular and second most powerful color. Darker shades are authoritative. Dark and bright blues represent trust, security, faithfulness and dignity. Paler shades can imply freshness and cleanliness, although they can imply weakness. RED – Red stimulates many kinds of appetites. Red commands attention, alerts us and creates a sense of urgency. It’s considered the sexiest of all colors. Red symbolizes heat, fire, blood, love, warmth, power, excitement, energy, strength, passion, vitality, risk, danger and aggressiveness. Financially, it’s associated with debt. YELLOW – Yellow is the sunshine hue and is a spiritual color. Yellow represents a warning, but it can also bring happiness and warmth. The most preferred yellows are the creamy and warm ones. Bright yellow can be irritable to the eye in large quantities. Yellow speeds metabolism. It’s often used to highlight or draw attention. GREEN – People associate green with the color of money, as well as nature. Olive greens are associated with health and freshness — a good choice for environmental concerns. Green suggests fertility, freedom, healing and tranquility. Green represents jealousy. Businesses use it to communicate status and wealth. Green is a calming, refreshing color that is very easy on the eyes. BROWN – Brown is associated with nature and the earth. Dark browns represent wood or leather. Brown and shades of cream are associated with warmth and coziness. Brown suggests richness, politeness, helpfulness and effectiveness. It is solid, credible, mature and reliable. Light brown implies genuineness. ORANGE – Orange is associated with vibrancy and the tropics, as well as warmth and contentment. It can instill a sense of fun and excitement. It implies health. It suggests pleasure, cheer, endurance, generosity and ambition. It can make an expensive product seem more affordable. It appeals to a wide range of people, both male and female. PINK – Pink is considered to be a very feminine color. It represents gentleness, romance, well being and innocence. PURPLE – Purple represents royalty and luxury. In darker shades, it’s considered a wealthy color. It suggests spirituality and sophistication. In paler shades, such as lavender, it’s feminine and romantic. 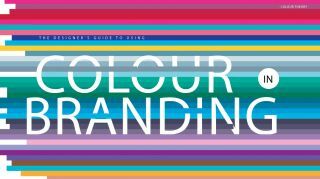 When determining the color choice for your brand, be sure to ask yourself if the color adds or detracts from your message and use these tips to help rocket you to success. Colors do have a significant impact on people’s emotional state while colors – for sure – have an impact people’s ability to identify.